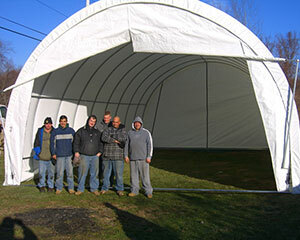 We now offer Big Fabric Shelters for all of your storage needs. Ranging from an impressive 30’ wide to 100’ wide they are perfect for storing vehicles, equipment, sand and salt, waste management, animal and hay, and indoor riding arenas. They are the rounded style so that during New England winters, the snow will simply slide off of the top and will not cause the unit to cave in like an “A frame” style might. The life expectancy of the fabric is 6-10 years and we are happy to re-cover the frame for a fraction of the cost of the unit when needed. Our Big Fabric Sheds are engineered for strength and durability, using the highest quality building components. 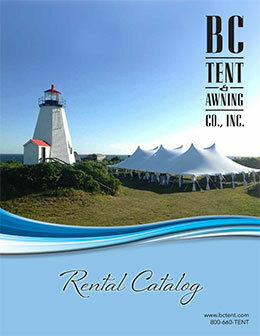 They are engineered to meet and exceed local building codes, allow for natural light and exceptional ventilation. They can also be extended in length to meet growing needs. Other uses are Agricultural needs, Commodity Storage, Commercial / Industrial needs, Sports and Recreation, Environmental solutions, Temporary Construction / Shelter, Equine uses, and Marine storage.